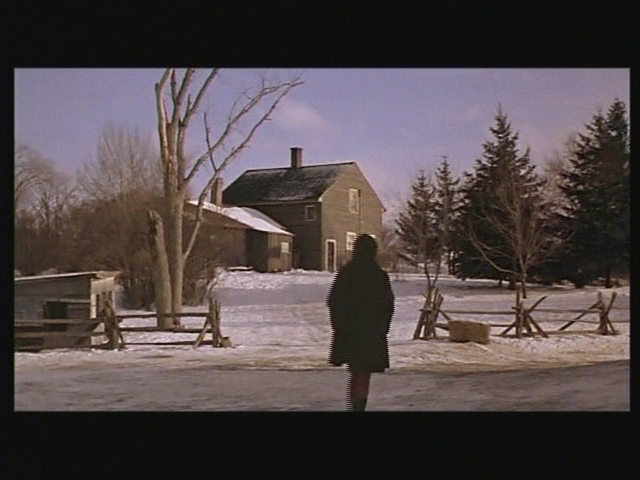 Two female friends (Sandy Dennis and Anne Heywood) living on a farm find their idyllic existence interrupted by the arrival of a young man (Keir Dullea), who immediately falls for Heywood and wants to marry her. Mark Rydell’s gorgeously rendered adaptation of D.H. Lawrence’s 1923 novella posits an intriguing love triangle: two females (well played by Anne Heywood and the inimitable Sandy Dennis) who live and work together on a self-sustaining chicken farm, and a headstrong man (the “fox in the henhouse”) who shatters their seemingly idyllic partnership. 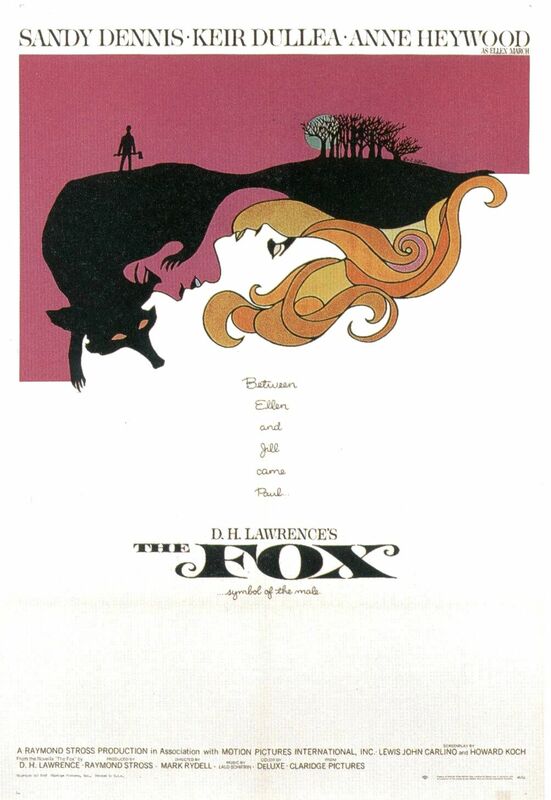 While it’s widely regarded as a “lesbian film”, lesbianism is actually not addressed in The Fox until the end of the movie, and even then it’s tame; although the two women share the same bed — and it’s clear that Dennis is unhealthily dependent upon Heywood — we never see any overt sexual activity between them. Instead, the story is about more generalized sexual longing; we’re shown almost right away (in a racy bathroom masturbation scene) just how sexually unsatisfied Heywood is, and how much she may be willing to sacrifice for a chance at fulfillment. 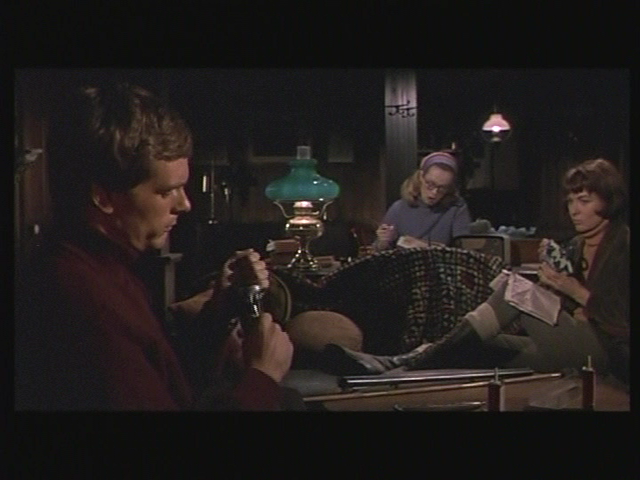 Yet gratification in the form of male sexuality is posited as disruptive (and ultimately catastrophic) to their female existence; once Dullea’s character arrives on the farm (which belonged to his grandfather before the women took it over), tensions immediately develop, with Dennis viewing him simply as a brother-figure, but Heywood immediately recognizing her deep attraction to him. Interestingly, Dullea doesn’t merely hope to sleep with Heywood; in the story’s one anachronistic “flaw”, he demands her as his wife — a plot device which would make much more sense in the 1920s than in the 1960s. While The Fox is a smart, well-acted character study for most of its running time, it’s marred by its notoriously melodramatic ending, when one of the women is made to pay dearly for her lesbian longings. This ending unfortunately frames the movie (for some) as simply another “homosexuals must pay for their sins” entry in 1960s cinema. Yet it’s worth watching on its own merits, and is certainly a must-see film for anyone devoted to D.H. Lawrence’s work — as well as those interested in how homosexuality was addressed on-screen during the 1960s. Yes, for Dennis’s performance and for its historical notoriety. A once-must, at least – cause it’s just too weird to ignore! – thanks largely to director Rydell. 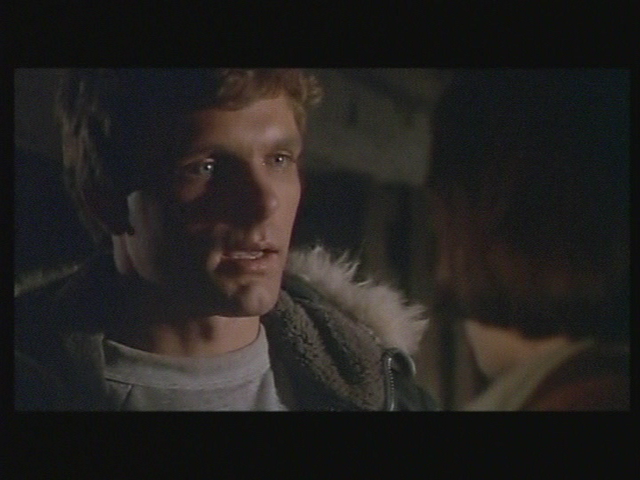 He gets a layered performance out of Dennis’ unfortunately whiny character, and also gets texture from Heywood and Dullea (neither of them all that memorable elsewhere). Rydell is very much in control here, and the film’s success is his. 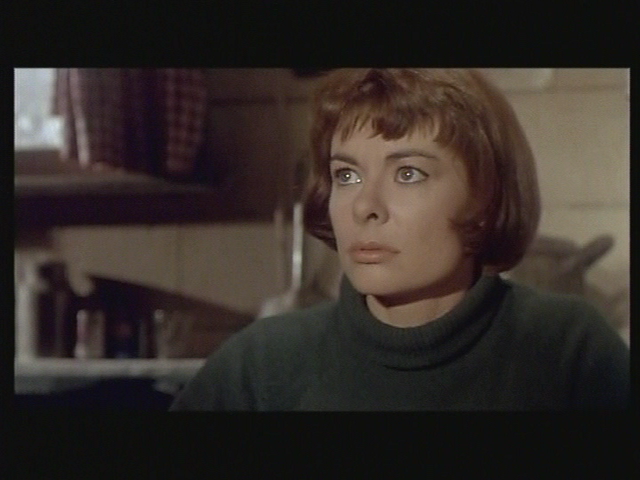 It is also beautifully shot (sometimes achingly so) by William Fraker – who, as it turns out, has not had an overly illustrious career: but he did shoot ‘The President’s Analyst’ this same year and, a year later, shot ‘Rosemary’s Baby’. I know I read the Lawrence novella but can’t now call it much to mind. On a revisit, the film seems reasonably faithful to its source. Repeat viewings may be fruitful just cause the whole thing is so wacky!